4 Star Hotel Apartment with City and River Views! Free Parking Available! Property 1: 4 Star Hotel Apartment with City and River Views! Free Parking Available! Melaleuca Retreat Marion Bay at the edge of Innes. 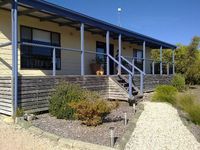 Property 13: Melaleuca Retreat Marion Bay at the edge of Innes.